The College Senate Curriculum Committee completes its proposal review process on the last Tuesday of each month. Proposals must be received before the 15th to be reviewed that month. Proposals received after the 15th will be reviewed the following month. All proposals submitted by the 15th will be completed (approved or rejected by the Provost) within 30 days. All CHALLENGES must be received within 15 days of submission to the College Senate Office. Course and program proposal challenges received after the 15 days will not be honored. You may contact the CSCC Chair if you have further inquiries. To determine the status of your proposal, contact your department chair. ONLY department chairs can log into the KissFlow application and check the status of proposals that are in-process . Proposals approved by the Provost are automatically entered into the “Approved Proposals” cloud database. Completed proposals are time-stamped for easy access to the most current version. Proposals are periodically archived in the college’s Digital Commons. Course proposals from 2010-present are available in the Digital Commons. 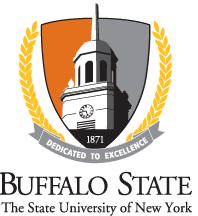 For copies of proposals from before 2010, please email cscc@buffalostate.edu.